I love a good romantic suspense journey that keeps me riveted to the pages and on the edge of my seat. This book had the potential to be just that but unfortunately, for me, it fell a bit short. The crux of the mystery and relevant topic associated with it (human slavery) are well plotted but too many tangents with a plethora of characters slowed the pace and left me struggling to keep reading instead of struggling to put the book down. Part of the problem might be that I haven't read the first two books in the series. Perhaps the characters of Kieran and Craig are fleshed out in those books and I would have felt more connected, been more invested in their relationship, and not found the heroine so annoying, if I had read those books first. To be fair, there are sections of the book where the intensity is strong and the pace is good. I like an author who keeps me guessing and it did take me awhile to figure out who the villains were. There are also topics in the book that we need to be discussing (human trafficking and diversity) though while the trafficking is an intrinsic part of the plot there are times when the diversity issue feels more like a lecture than an organic part of the story. There seems to be a lot of tell rather than show in this book. Overall, for me, A Dangerous Game was a middle-of-the-road romantic suspense story, with emphasis on the suspense, that wasn't bad but could have been better. I normally like Heather Graham. Sorry to hear the story fell flat. 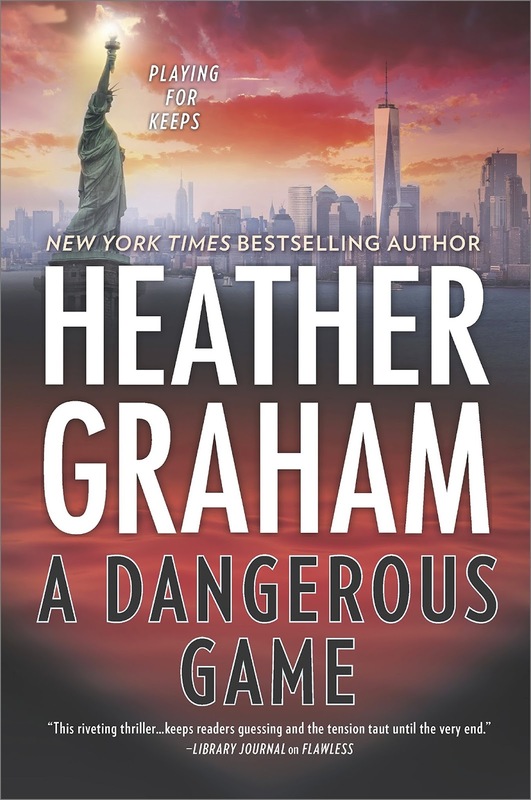 Heather is one of my favorite authors but I haven't enjoyed this series of books. I like her Krewe of Hunters much better. I've enjoyed her books too, Martha but I really struggled with this one. It took me five days to read it. I've since read four more books in the five days since I finished it. Thanks for the review. I haven't read this author yet. I've read Heather's historicals, which I liked. However, I did find them far too long.